A modern representation of a gun is offered on this decorative art print. This modern art print is 60 x 40 cm (23.62 x 15.75 po). Each trendy art print is treated to withstand UV and moisture. 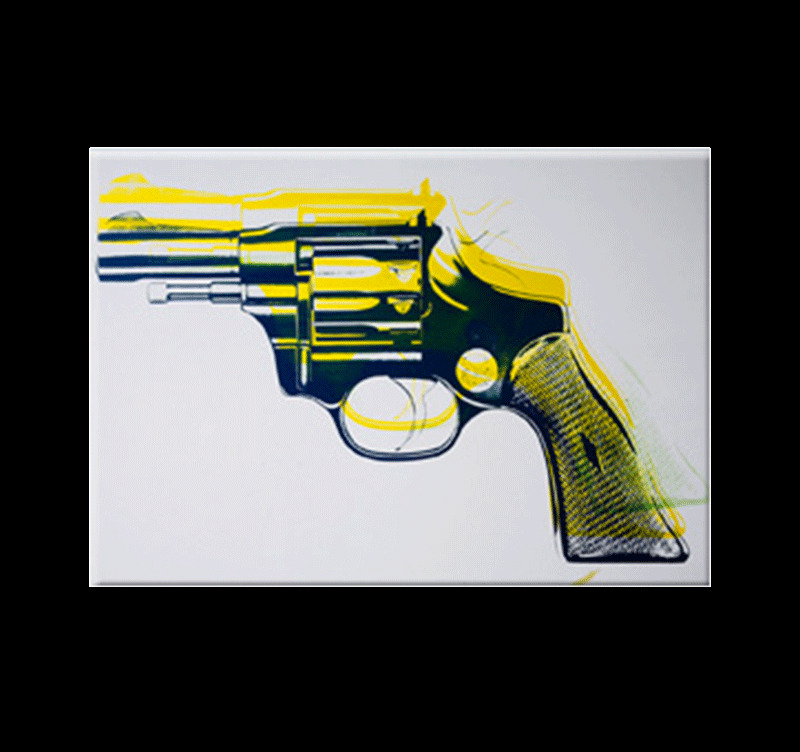 The mythical revolver is illustrated on this high quality pop art canvas! This highly detailed trendy art print is sublimated by a yellow shadow that makes it a very original piece. 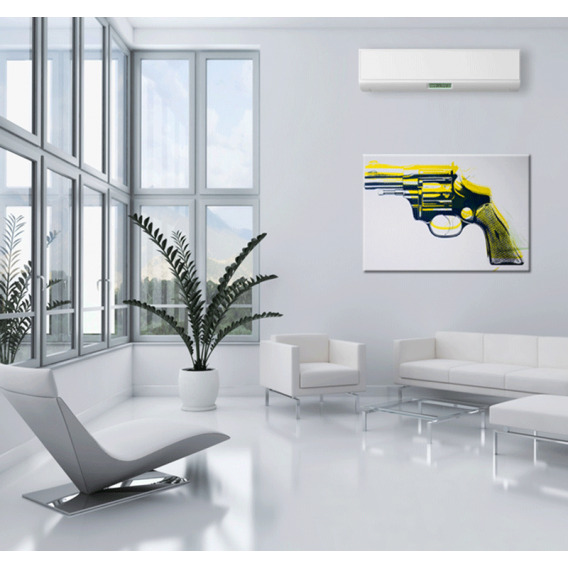 With its white background, this wall decoration will easily meet your decoration ideas and show a perfect alchemy between the power of a gun and the pop art style of such a modern artwork. All our modern art prints from this category are printed on cotton canvases and stretched over a frame made of Canadian pine wood. The photos on canvas are delivered with cardboard corners and hanging hooks. All our contemporary art prints are treated to withstand UV and moisture to ensure optimal rendering and lifetime.